The history behind Orangetheory Fitness dates back to March 2010, but since then this one-of-a-kind training workout has made its mark around the country. 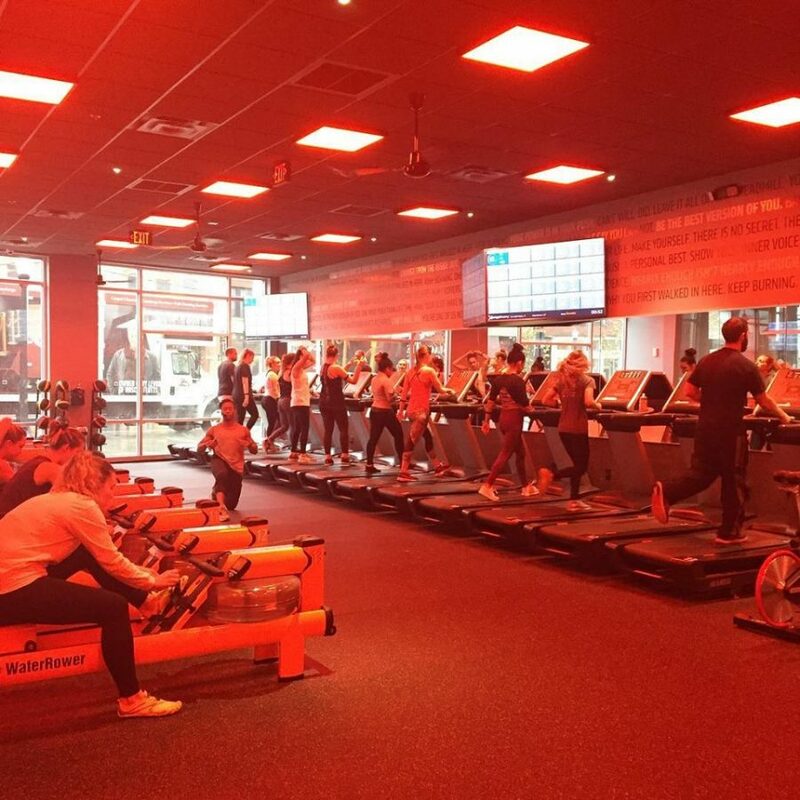 With a new location in the Short North, Orangetheory Fitness is a workout that breaks into intervals of cardiovascular and strength training that produces maximum calorie burn. “Backed by science, the heart rate-monitored, interval training is designed to maintain a target zone that stimulates metabolism and increases energy,” explains Studio Manager Malinda Smith. The 60-minute sessions use a variety of equipment, including treadmills, rowing machines, TRX, and free weights. The goal of an Orangetheory Fitness workout is to get heart rates in the target “Orange Zone” for 12 to 20 minutes in order to produce what they call the Orange Effect or, what they call, the Afterburn. “Every session is different, but all 1,000-plus studios are completing the same workout that day, so the OTF community can share their experience and their session performance summary with friends all over the globe,” says Smith. The inspiration behind Orangetheory Fitness was to help people of all ages and fitness levels feel successful in their fitness routine. It can be rather intimidating for some to go to the gym and see others who are stronger or more advanced in their fitness routines. “Orangetheory Founder and Exercise Physiologist Ellen Latham refers to Orangetheory as the multivitamin of fitness, providing members everything they need to see amazing results, gain more energy, build more confidence, and live a longer, more vibrant life,” says Smith. According to Smith, a location opened up in the Short North because of the neighborhood’s booming popularity. There is a team of experts as well as a medical advisory board that works to perfect each daily workout. The Short North studio is the 12th Orangetheory Fitness location in Columbus and additional locations are already under construction in the area. Orangetheory is also planning on adding new technology to its routine. Orangetheory Fitness is located in the new Castle Building at 977 N. High Street in Columbus. To book a complimentary introductory session at Orangetheory Fitness, to learn more, or to stay in the know, visit orangetheoryfitness.com. You can also contact the Short North location directly at 614-721-0031 or by emailing studio1091@orangetheoryfitness.com​.